Negotiating an employment contract requires you to have a realistic assessment of your own market value. You will also need to find out as much as you can about your prospective employer and the position which they are offering. It is, of course, not simply a matter of the salary, but of all the components that together make up the remuneration package. Without intending to be exhaustive, these components could include sign-on bonuses, commissions, relocation allowances, housing or accommodation, children’s education, share options, first-class air travel, interest-free home loans etc. Which of these components are most important to you? There is also a multiplicity of other issues unrelated to remuneration, but which are nonetheless critical. These include ensuring that there is a careful definition of duties and responsibilities, agreement as to which legal system governs the interpretation of the contract, provision for Key Performance Indicators and limiting the way in which the termination provision operates. You also need to be entirely honest with yourself as to why you are making the move. It needs to be a realistic decision. You need to be confident that you have the skill and ability to perform the role to which you aspire. Having said this, however, you need to accept that a change to another company, particularly if it is interstate or overseas, will have a significant impact on your life and that of your family. Even if you are up to the move, will your spouse or family be able to cope? If you have any doubts or reservations on any of these issues, you should not be afraid to seek advice from an appropriately trained clinical psychologist or careers counsellor. Moving to another employer will invariably involve certain risks. You need to work hard to minimise these risks and the key is preparation followed by comprehensive contract negotiation. This will require careful consideration of the terms upon which you enter into the employment relationship. Some of these terms are set out in legislation. However, this is not where the story ends. There are 10 basic minimum standards set out in the National Employment Standards of the Commonwealth Fair Work Act 2009. These 10 standards relate to maximum hours of work, annual leave, personal leave, parental leave, flexible working arrangements, community service leave, long service leave, public holidays, notice/redundancy and the requirement that you be given a Fair Work Information Statement. These standards address issues that are obviously important. However, they are intended to provide nothing more than a basic set of conditions for all employees irrespective of seniority or status. For those at an executive level, these conditions should be viewed simply as minimums below which you cannot fall. They should not be interpreted as terms which could not be improved upon or increased. This is particularly so as it relates to notice and redundancy. Issues relating to notice and redundancy represent the “elephant under the rug”, and Australian executives negotiating an employment contract need to be contractually savvy when it comes to addressing these matters. In regard to these issues, the only meaningful “safety net” beneath them is the one that they can negotiate for themselves. The number of senior executives in Australia who are employed under employment contracts that could only be described as “Mickey Mouse” is astounding. For the most part, these contracts are heavily weighted in favour of the employer and leave the executive out on a limb. The problem with many of these employment contracts is not simply what they contain but also what they fail to mention. The whole point of having a contract of employment is to provide certainty in what is invariably a complex business relationship. You should not be afraid to negotiate an employment contract that fully protects your interests. On the contrary, an astute employer will recognise that your ability to look after your own interests will hopefully translate into an ability to fight for the company’s interests. After all, the reason why the company will hopefully make an offer of employment is because you are astute and will not sign any employment contract that is placed before you. Even if you are unable to secure all of the benefits that you seek in the negotiating process, then at least you will know where you stand on those issues with respect to which you have been unsuccessful. This is better than labouring under a misapprehension as to what your real rights are on key issues. The discussion set out below is intended to guide you through skill identification, budgetary consideration and a realistic appraisal of your market value. This includes what you can expect to contribute to the company’s profitability. As part of this process, you are also encouraged to consider the lifestyle repercussions of any move. You then need to embark upon a comprehensive due diligence program to find out as much about the company and its organisation as you can. The company will only be interested in presenting itself to you in its best possible light. It is your job to get behind the facade to the real story. If the company is seriously dysfunctional, you need to find out before you execute the contract of employment. If the person to whom you are being asked to report is an office psychopath/tyrant who suffers from some narcissistic personality disorder, the chances are that you will not last long in the new position. Researching the background to the employer is therefore essential. You should use the interviewing process as an opportunity for gathering as much information as possible. It is extremely important that, during this interviewing process, you take careful diary notes of all discussions that you have had with company executives or recruitment consultants. It is also useful to confirm these discussions in friendly, nonthreatening and conversationally worded e-mails. If you have survived the initial interview and are invited back for a second or third interview to discuss the details of your proposed employment contract, you should work through the Executive Employment Contract Checklist. On the basis of the completed checklist, you should ask for a draft employment agreement to be prepared. Once you are in receipt of the draft agreement, you should seek urgent legal advice. If you follow this process, the employment contract that is sent to you should hopefully reflect the discussions that have taken place between the parties. It should not simply be some pro forma document that has been photocopied by the HR Director. The focus in this article is negotiating an employment contract with a new employer. If you are negotiating a new employment contract with an existing employer, there are a number of threshold considerations that need to be addressed before embarking upon such an exercise. You may, for example, have valuable common-law rights that would be extinguished by the creation of such a new employment contract. The offer of a new contract by your current employer may, in fact, be a disingenuous attempt to manoeuvre you out of the company. Accordingly, it is essential to take legal advice before commencing that process. In addition, negotiating an Expatriate Employment Agreement involves additional complexities that are not considered at all by this article. If faced with an employment contract of this type, it is even more important that you take prior legal advice. With the above comments in mind, we will now step you through what we believe to be a systematic approach to employment contract negotiation and evaluation that will maximise your interests. You need to make a realistic assessment of your current skills, experience and education and the impact this can have on the company’s bottom line. From this analysis, you can determine how your skills relate to the position you are applying for. You also need to make sure that your résumé and any covering letter that accompanies it specifically address the attributes which the successful candidate must have. Remember, the position for which you are aiming should represent a logical career move and result in the strengthening of your résumé. In order for you to determine the adequacy or otherwise of any remuneration offer, you need a realistic estimate of your living expenses (monthly/annualised) before entering into any negotiations with a prospective employer. This budget should include (if you are having to move interstate or overseas) the cost of relocation and the potential exposure of having to pay stamp duty on the purchase of another home and associated legal costs. In addition, if you have to sell your existing property, will you suffer any capital loss on the sale? i.e. a component that has no significance or value to you or your family. Components of a remuneration package that fall into this category might nonetheless be “traded in” in exchange for a component that is of more value to you. It is essential that you know what the position itself is worth and what your level of skill and experience commands. There are websites which set out general salary information which you can consult in this regard. Depending on your seniority, you may also consider engaging a remuneration consultant. (e) What do you expect to be able to contribute to the company’s profitability? You also need to consider what else you are bringing to the company above and beyond your ability to discharge the immediate duties and responsibilities. This might include a network of customers and suppliers who will follow you to the new company without your being in breach of any post employment restraint. Alternatively, it might include (because of your expertise and experience) an ability to rapidly grow the company (or a division of the company) in a way that the existing management team cannot. If you are in this position, this may have a significant bearing on your ability to negotiate a higher level of remuneration. It is important that you are able to quantify your ability to add extra value to the company. This will greatly assist your objective in leveraging yourself into a higher remuneration bracket. You need to avoid creating the impression that you are simply “pulling figures out of the air” and that your case for an increased remuneration package or an accelerated bonus structure is based on real science. It is not enough to have completed a financial budget as suggested above. You also need to consider what this prospective move may mean for your life and that of your family. These considerations may include separation from close friends and relatives, disruption of schooling for children, excessive commuting times, the loss of a social network, impact on health etc. Apart from visiting the company’s website as well as those of their competitors, you also need to find out information about the business that will be more difficult to come by because of its potentially embarrassing or compromising nature. undertaking a Dun & Bradstreet search to ascertain the reputation of the company in paying its bills on time. If the company is slow in paying its bills, it may also be slow in paying your salary on time. undertaking a search of the Australian Financial Review online database to see if the company has ever appeared in its pages and, if so, in what context. undertaking a search of ASIC records to determine whether any of the directors associated with the company are the subject of any temporary or permanent bans. determining the level of staff turnover. If there is a high staff turnover, this may well indicate a dysfunctional office or a serious problem in the management style of certain key executives. determining whether the company (if small or of medium size) has a written business and marketing plan and swot analysis. If negotiations for the position are proceeding well and it is indicated to you that you are being shortlisted for an appropriate senior position, you might consider requesting copies of those documents on the basis that you are prepared to sign a Confidentiality Agreement. requesting details regarding turnover, net profit, and whether sales/net profits are rising or falling and, if they are falling, why so. requesting to meet the person to whom you would be reporting if that person has not already been included in the interview process. Would you be able to work with that person?This is not an easy question to answer and you will need to be guided by your intuition. You should ask how long your predecessor had worked in the position and why he or she left.You should also ask to meet as many of the key executives in the organisation as you can. You may be surprised at what is revealed to you during such discussions.This occurred to one of our clients who went through a series of successful interviews with the Director and senior management and then on one occasion found himself alone with a senior Operations Manager. During the course of this meeting, the Operations Manager told our client that he would be “frankly mad” to come and work for the company, because of its serious management problems, most of which had been disguised up until that point. If you know the name of the predecessor, you might consider contacting that person and, on a confidential basis, ask him/her for an off-the-record comment about the company and its management. Remember, you are interviewing the company as much as the company is interviewing you. Do not simply take at face value the information you are given, and be ready to ask questions and probe for inconsistencies. This, of course, needs to be done without conveying the impression that you are uninterested in the position or are suspicious. 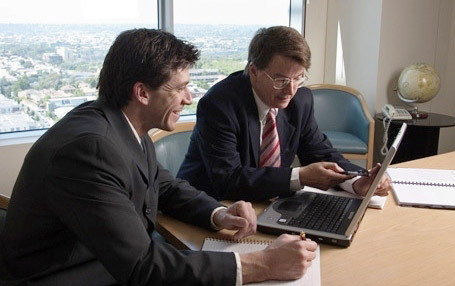 We know of many clients who have uprooted themselves and their family and moved interstate/overseas having undertaken what they had imagined to be a comprehensive due diligence examination of the company, only to find that they had effectively been lied to and the picture painted by senior company executives /recruitment consultants was completely false. (h) Does your spouse need to abandon their own career or business in order to accompany you to the new position? It is not uncommon that acceptance of an employment offer will mean relocation to a distant location. This, in turn, may mean that one’s spouse is forced to resign his or her employment or forego a business opportunity, in order to accompany you. If you are in this position, this means that you have even more at stake in ensuring that the new position is the correct one for you. It is also important that you bring to the attention of your prospective employer what your spouse is having to give up to accompany you. Your correspondence should make it clear that acceptance of any offer of employment by you will mean an additional loss of family income. You should be specific as to what the loss will be and confirm this in writing so as to underscore the critical nature of the decision you are taking. Again, it is critical that this is expressed conversationally and does not sound like you are foreshadowing subsequent legal claims. (i) What if you are approached by a prospective employer or recruitment consultant? It can be very flattering to the ego to be approached by a company or recruitment consultant who seeks to “poach” you from your current employer. This approach may come at a time when you are feeling highly dissatisfied with your current work situation and may seem like a heaven-sent opportunity. After all, this prospective employer appears to acknowledge and value your experience and skills enough to make contact with you. In these circumstances, it can be very easy to short-circuit the due diligence examination suggested above. That would be a mistake. You should certainly thank them for their approach, but nonetheless make it clear that you are contract savvy and that the rigor you bring to bear with respect to your own contract is what they can expect from you on behalf of the company should you formally accept their offer. (j) A Competition and Consumer Act 2010 claim? Some of the situations described above may give rise to a misrepresentation action under section 18/31 of the Competition and Consumer Act 2010. In these types of legal action, it is essential that you are able to prove that the misrepresentation was actually made and that you relied on that misrepresentation in making the decision to accept the offer of employment. The inability to prove that a misrepresentation was made is the reason why many such claims are not viable. It is for this reason that it is important when representations have been made to you that you confirm them in writing. If you can persuade the recruitment consultant/company executive to provide such confirmation then so much the better, but this may not occur. It is often far better if you write the confirming e-mail, but it is essential that it does not sound like a legal letter or that you are attempting to “set up” the company for a subsequent legal argument. The tone of the correspondence needs to be conversational and nonthreatening, but should make it clear that what was said/sent to you is important to your decision to accept any offer. It is prudent to avoid the use of the word “representation” as this is a loaded legal term and will probably trigger alarm bells in the recipient. We suggest you take legal advice when composing this type of correspondence. You need to be extremely careful to ensure that your current employer does not find out that you are in the marketplace for another position. This means that you should not communicate to recruitment consultants etc. 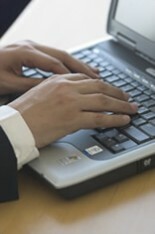 using your work computer or leave any documentation on your desk that could be seen by a co-worker. In our experience, few executives are allowed to remain on with their current employer once it becomes known that they are in the market. There is little point entering into negotiations with another employer if your existing contract of employment contains a post employment restraint that purports to prohibit you from working or otherwise being associated with the prospective employer. These restraints need to be taken seriously and their operation and enforceability is dealt with elsewhere on this website (see Restraint of Trade Covenants). You need to take legal advice on this issue. It is preferable not to resign from your current position until you have an unconditional offer of employment from the new employer and a draft of the proposed employment contract that is acceptable to you. You should not underestimate the amount of time needed to successfully negotiate an executive service agreement. You do not want to be in the predicament where you have resigned from your current position only to find that the negotiations with respect to your future employment have broken down. It is for these considerations that we believe resignation before you have resolved the new employment contract is premature. You also need to be mindful that your new employer may be insisting on a probationary period in the contract. This means that your future contract may be terminated on short notice. You should do all that you can to leave on the best possible terms with your present employer. You need to use the interviewing process to continue to build your knowledge of the inner workings of the company. This is an opportunity to sell yourself and build rapport with the interviewer and find out as much as you can about the company. Allow the interviewer to outline the salary and other benefits first as this may give you better leverage. If, during the course of this interview, you are pressed for a salary figure, provide a salary range and say that you would need to discuss in greater detail the components of the package. Your objective should be to get yourself onto the short list. In order to do this, you need to build interest in you and keep them engaged. clarifying the person to whom you will report and the staff who will report to you etc. With respect to all three of the above issues, your objective should be to establish a clear position description. You should not be put off with reassurances that these issues can be resolved after you have commenced employment. By then, it may well be too late. Clarification on the employing legal entity. You should be very careful if it is being suggested that you are to be employed by a foreign legal entity. If that is the case, the local Australian entity should guarantee the obligations of the foreign entity. Which legal system is to govern the interpretation of the contract? 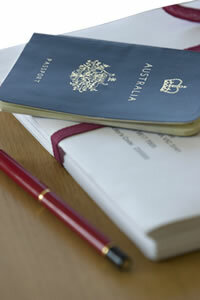 If you are to be employed within Australia, then nominate the State/Territory in which you reside. If you are to be employed overseas, then this becomes more complex but alternative solutions do exist that can help redress the balance. A clear understanding of how the remuneration package is to work, its components, the currency of payment and the tax laws that are to apply. Be wary of any post employment restraints, particularly those that purport to apply during any probationary period. If moving interstate or overseas, never agree to any arrangement under which you pay your own relocation expenses which will be reimbursed to you on successful completion of any probationary period of employment. Another variation on this problem is agreeing to the reimbursement of relocation expenses if you resign your employment within a specified period of months after commencement. Clauses that operate in this fashion need to be carefully considered and legal advice taken. Otherwise, you may be at risk of suffering significant financial losses. If the offered salary package is inadequate, continue to express enthusiasm for the position but ask if there is still room for movement. Express your concerns about the inadequacy of the offered figure and make your point regarding your market value from your own research and your anticipated contribution to the company. Listen carefully to the response and note the non-verbal cues. If the response suggests that the company is closed on the question of salary, then explore further the non-salary components set out in the checklist. It may be suggested to you at this point of the negotiations that the company place you on a bonus or commission scheme. For this to be of any value to you, it must be nondiscretionary, based on clear key performance indicators which are achievable, and not be subject to the performance of any other division of the business or the company as a whole. If this is the approach that the company seeks to take, you may be able to negotiate a two-tiered bonus/commission scheme that is based on your own individual performance together with a second tier that includes the performance of other divisions. If the payment of the bonus is dependent on the performance of somebody else who does not report to you, then in what sense is that an incentive? On the assumption that the final interview ends on a positive note and it is indicated that an offer is likely to be made, ask that the letter of offer be very specific. Better still, ask that a draft contract be provided that sets out what has been agreed to in principle. You should not say that you intend to obtain legal advice. When you receive the written offer/contract, check to see that it actually reflects what was discussed and agreed. At this point, it is essential that you take legal advice. Make sure that there has been no attempt to “switch” the employing legal entity on you. In other words, if all of your negotiations have been conducted with or on behalf of the Australian entity, then that is the entity that should be making the offer of employment. It can happen that negotiations are conducted with an Australian legal entity that has joint-venture operations overseas and that the letter of offer is received from the overseas operating subsidiary or joint-venture vehicle. This can leave you potentially exposed if you need to commence legal action against a foreign company that may or may not have any assets in the foreign jurisdiction and which may require you to commence proceedings in that jurisdiction. If the company insists that the offer is with the overseas operating subsidiary then you should ask that the holding company guarantee its obligations under the contract. If this is refused, then you know where you stand. You should not accept any offer of employment with a foreign entity without taking prior legal advice. Once you have received the offer of employment/draft contract, there will need to be prepared a checklist of amendments. This should be prepared by your lawyer. Once you are armed with the checklist/advice, you should schedule a meeting with the company to work through the checklist. At the end of this process, you should ask for a second draft of the document. When the second draft arrives, you should also take advice on its terms. If this process sounds tedious, it is because you underestimate the importance of the contract and the process upon which you are embarking. Your contract of employment ranks equally with the sale contract for your house and your mortgage contract with your bank. It forms the basis upon which you derive your livelihood and funds your lifestyle. Seen in this context, it is one of the most important contracts you will ever sign in your life. To successfully make the transition from one employer to another requires a lot of preparation and work. It also requires timely legal advice. If the process is incorrectly handled, it can cause a severe career reversal and financial losses that can be measured in hundreds of thousands of dollars. While looking for another position, you should never place in jeopardy the employment relationship that you already have. You should certainly never resign from your current position until you have an unconditional letter of offer and a draft contract of employment that you are happy with. You should not underestimate the amount of time that is needed to properly complete the process. You should attempt to obtain a written reference if you can or, failing that, a Statement of Service that wishes you well for the future, as this may serve as a quasi reference. Although it is not always possible, you should endeavour to leave your current employer on the best possible terms and avoid giving short notice. It is a small world, and you just never know when you may need them in future. You should not allow yourself to be rushed into signing an inadequate contract. The more patient that you are prepared to be, the more likely it is that you will finish up with the contract that protects your interests. For those executives who are contemplating a transfer interstate or overseas, the stakes are even higher. You should note that, if you are an expatriate executive, the Executive Employment Contract Checklist is not primarily designed to assist you in negotiating a contract of that nature. Please refer to Negotiating an Expatriate Employment Agreement for more information in this regard. Although it is important that you negotiate your own contract, when it comes to documenting the agreement finally reached, this should only be done using the resources of an experienced lawyer.